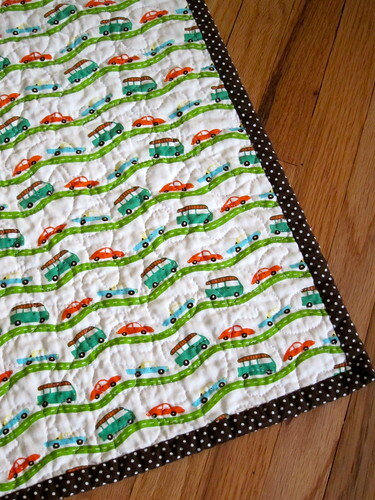 Do you remember these posts with some teaser pics of a quilt for Baby Ben? 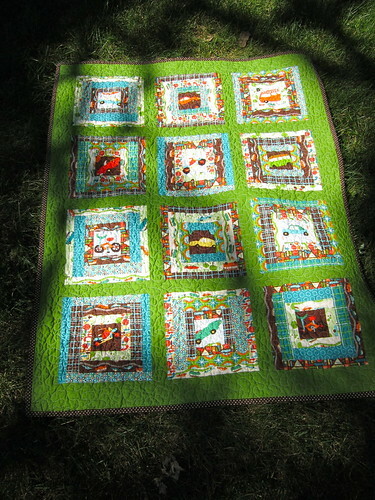 Well, I finished piecing and quilting in May but didn't get the binding on and shipped out until sometime in July. It's even sadder that I haven't blogged it yet. 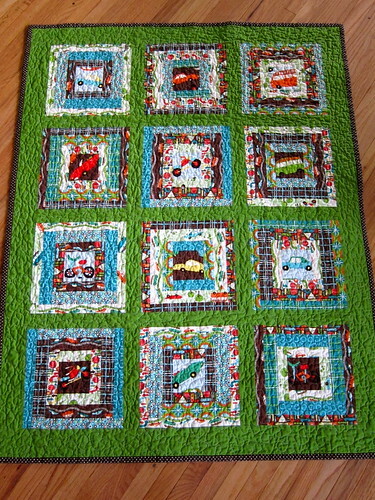 I wasn't sure how it would turn out because I tried to just grab strips and sew them together. 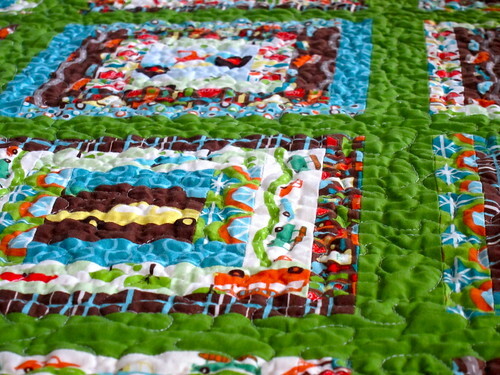 Then I had a mini-melt down and took out my markers and drew the whole quilt out w/ color and patterns. Once I had a "planned randomness" I felt much better (what can I say the Engineer in me loves order!!!) 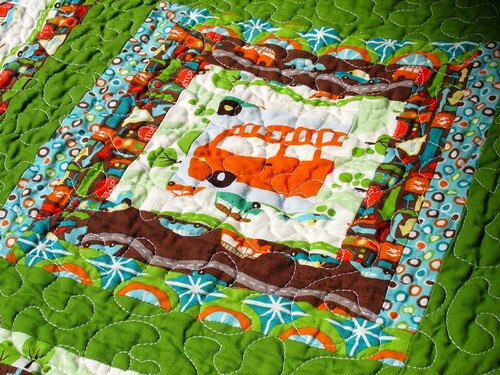 This is loosely based on the Scrappy Hedgerow Blocks from Oh, Fransson!. Love the colors! Great job!